Opportunity is often revealed by seeing ways in which old and proven techniques can be applied in new formats, variations, or places. 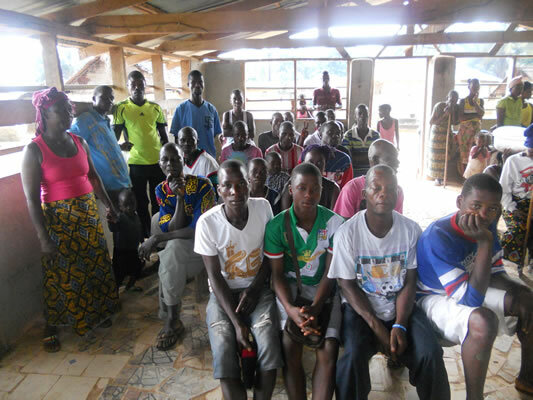 When Mike Sehzue made his first trip to his father’s home country of Liberia and the village of Sangarplay, he had no intentions other than to discover the place that meant so much to his family. The trip was a way to provide context to the feelings that had been fostered through stories he had been told as a child…in some sense, it would be a journey of self-discovery. Liberia, like all countries, is continually trying to settle itself amidst the rolling seas of modernity. The last few decades have brought about a handful of crises, including a civil war and an ebola outbreak in 2014, the rumblings of the former being the catalyst for which Mike’s father left in the mid 1970’s. Through it all, the Liberian people have remained resilient even when there has been no firm footing on which to build from. Specifically, the community of people in Sangarplay possess a spirit of unity and proudness that was very apparent to Mike and it was this spirit that awakened a vision of opportunity. 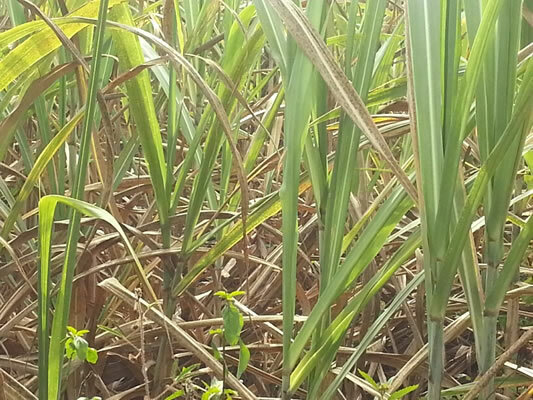 In Sangarplay, people have been using sugarcane (which is a native crop) to make “moonshine rum” for quite some time. The local product may have very little similarity in taste to typical rum but the base ingredient provides all the commonality which is necessary. 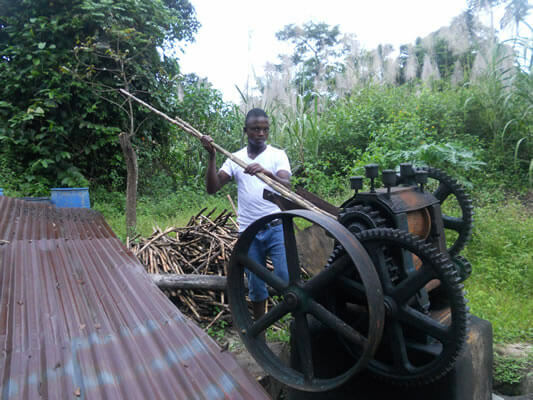 Mike had no idea how to make rum, but he soon realized that sugar cane was a great place to start and from there he used his entrepreneurial proficiency to build out an initial business model for making rum in Liberia. Mike sorted out all of the basic requirements: he could source ample amounts of sugar cane from local farmers and he also had people who would help with the rum making process. But how to make quality rum? It was a spot of chance that Mike met Cynthia Blandford, “Honorary Consul General of Liberia” in Atlanta, who recommended he speak to Erik and Karin Vonk of Richland Rum. Cynthia had met Erik and Karin through various Georgia business functions and knew that they were always kind with their time, especially in providing supportive knowledge for innovative ideas. Mike reached out to Erik and Karin and they quickly arranged a meeting for him to visit the distillery in Richland. Since that meeting in early 2014, Mike has built and grown a fully operational and sustainable rum distilling company producing “Sangar Rum” in his father’s village of Sanagarplaey. All of the sugarcane is sourced from local farmers, and Mike employs other locals to help run the distillery. Incredibly, Mike keeps the business in operation with only occasional in-person visits, which he manages to arrange by using his vacation time throughout the year. 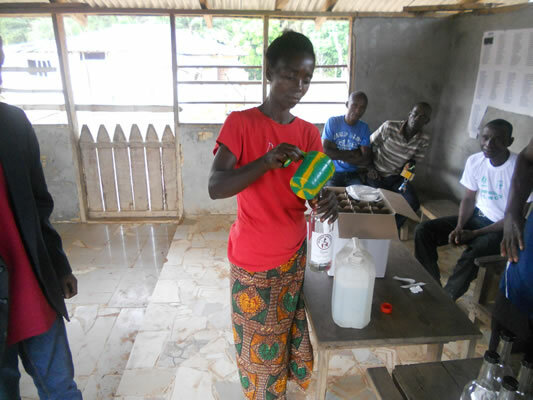 Currently, Sangar Rum is being sold in various locales throughout Liberia’s capital city of Monrovia and surrounding areas. Monrovian businesses are very appreciative to have a high quality local product which they can sale to Liberians and visitors alike with equally positive reception. The demand for Sangar Rum is beginning to take hold and expansion to international markets, including certain U.S. markets, is quickly approaching. As the business has grown, Mike has remained steadfast in his pursuit for innovation and is currently exploring various methods for large scale production powered by sustainable energy sources. In ways such as this, Mike is not only laying the groundwork for breakthrough business models in Africa, but for the world as well. Sangar Rum is primed and ready to set an example which many businesses of the future can follow in order to adapt themselves to the ever-changing global environment. From the very first introduction, Erik, Karin, and everyone else at Richland Rum understood the cohesiveness with which Mike Sehuze’s business model fit the Richland identity. Richland Rum was also born to revive a town which has endured its own (economic) hardships. It is these similar motives which drive much of the innovative ideas being seen across all businesses and industries today, and the more that these entities can work together to build each other up, the better it will be for everyone. From Richland to Sangarplay, opportunity exists for anyone who can see it. Amazing work. It warms the heart to see how we can help each other around the world. Well done!